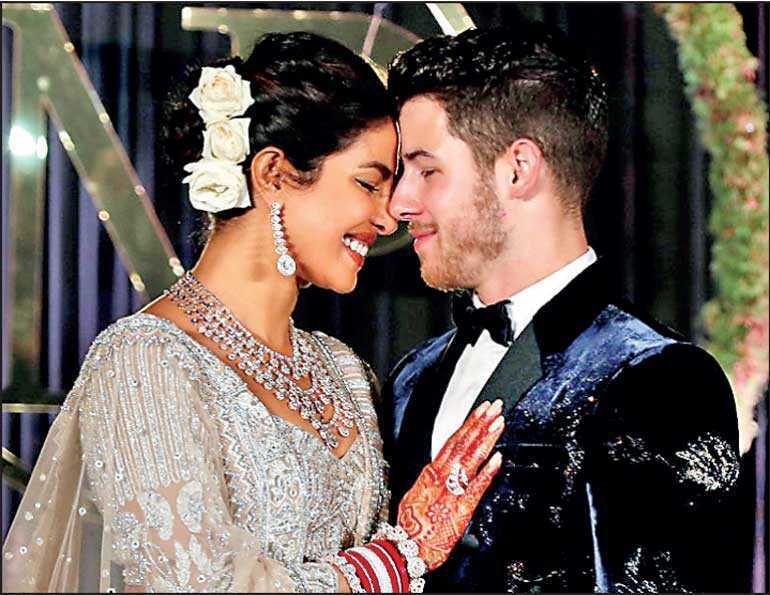 NEW DELHI (Reuters): Priyanka Chopra, star of Indian film and US television, and Jonas Brothers singer Nick Jonas celebrated their wedding at a glitzy reception in New Delhi on Tuesday, joined by celebrities ranging from India’s prime minister to Hollywood stars. The guest list on Tuesday’s reception included Indian Prime Minister Narendra Modi, who posed for pictures standing next to Chopra, who wore a sequined Indian outfit, and Jonas, who was dressed in a blue-black tuxedo. Chopra, 36, and 26-year-old Jonas were engaged earlier this year after a whirlwind courtship that began at an Oscars after-party last year. Chopra, a former Miss World, starred in three seasons of ABC’s “Quantico”, becoming the first Indian to headline a US television drama. In India she is one of Bollywood’s highest paid film stars.